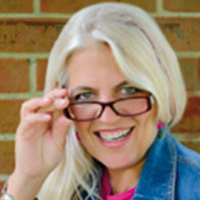 Patti Brassard Jefferson is an author, illustrator, mosaic artist, graphic designer, bubble-blower and palm tree hugger. She lives in Florida with her two rescued mutts and a husband who loves her enough to tell her she shouldn't sing in public. She always defers to her inner child when making big decisions which is why she writes & illustrates children's books that have a little something for adults too.